Baaghi Trailer Review: The rebels Shraddha and Tiger are going to storm the silver screens with their dreading action sequences!!! 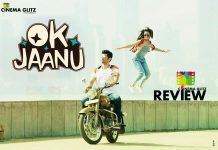 Their first look poster was released last week with Shraddha and Tiger showing off their chiselled hot bods. That was in fact a hint what they had in store. The trailer was out today, and my god its mind blowing. For some time let’s forget from where it was lifted or how the director has copied. The reason being, in the crowd of pretentious remakes and copied content, one main thing they forget, is the genuine method of doing that. And Sabbir Khan has done that religiously and I would say it was possible only due to Tiger Shroff’s incredible inclination towards mixed martial arts. Let me highlight something, the final sequences featured in the trailer is from Indonesian movie “Raid Redemption”. But the re-creation is uncanny and is fabulous. The best part is Shraddha joining the action wagon in “Baaghi” is like icing on the cake. Last year she showed her dancing skills in “ABCD 2” and this year it’s her action skills. Director Sabbir Khan is going to score with the USP of the film which is “Incredible Action”, regardless of people pointing at its flaws. The film is slated to release on 29th April 2016 worldwide. The film has Binod Pradhan as cinematographer edited by Manan Sagar and music is by various artists with Julius Packiam doing the background score. Half Girlfriend Movie Review: Half Girlfriend, is LOST in ADAPTATION!!! 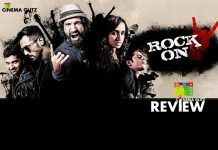 Rock On 2 Movie Review: Rock On 2, couldn’t bring back the MAGIK from the previous film, and failed to re-unite the artists!! !